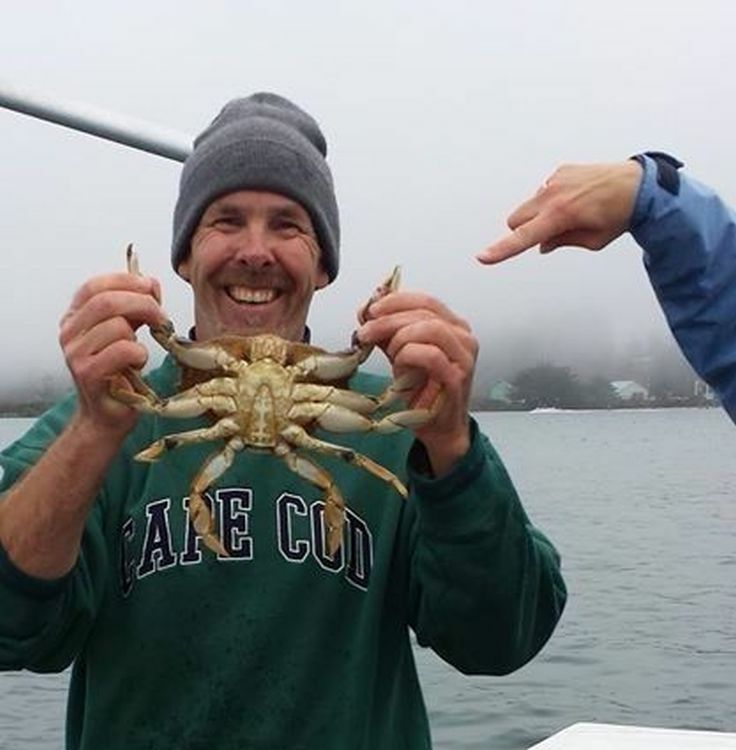 Crabbing Trips for Dungeness Crab are a favorite outdoor activity on the Southern Oregon Coast. 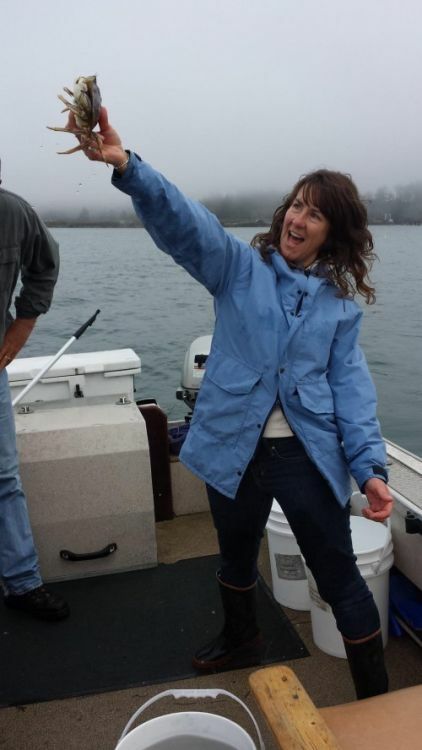 July thru November are when we will run Crabbing trips on the Coquille River at Bandon. 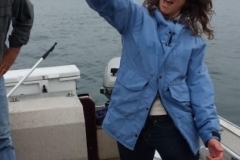 Reservations are encouraged as we are also are running Salmon fishing trips at this time. 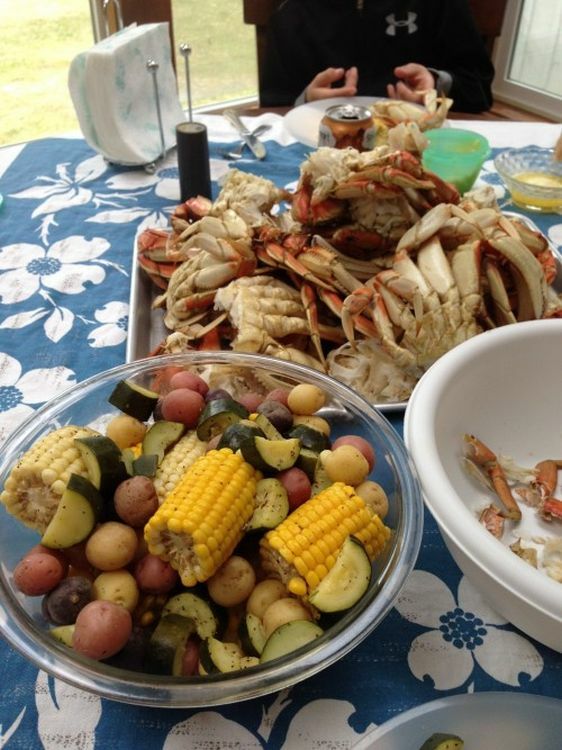 Dungeness Crab are noted for their fine eating and there is no better way to eat crab than fresh & hot out of the pot. 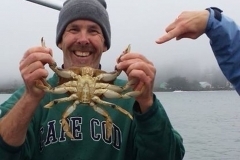 If you have never eaten Dungeness Crab hot from the pot, it is hard to explain it’s fantastic eating quality. 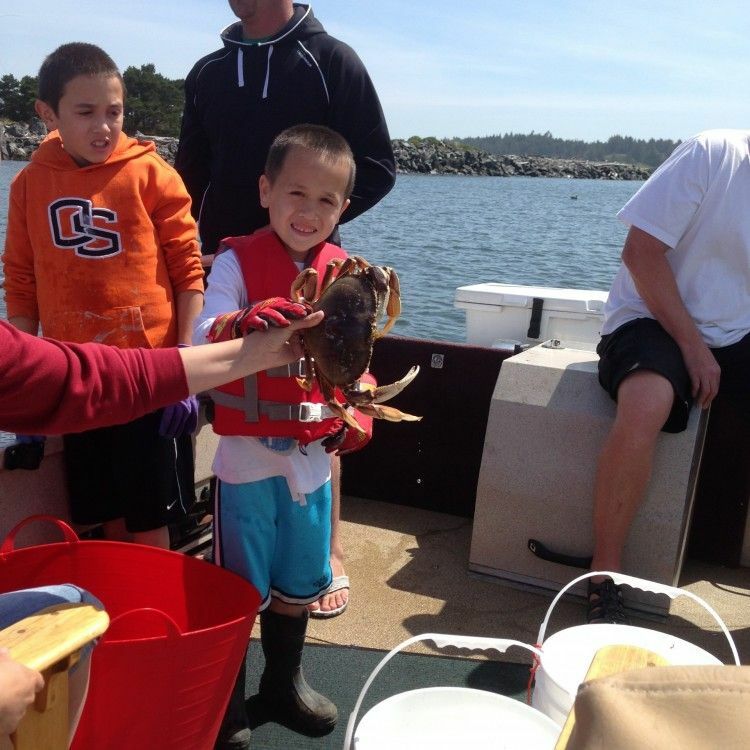 Our crabbing trips depart from the Bandon Port launch docks or Bullard’s State Park boat launch. Dress warm as northwest winds can be cool anytime of the year. 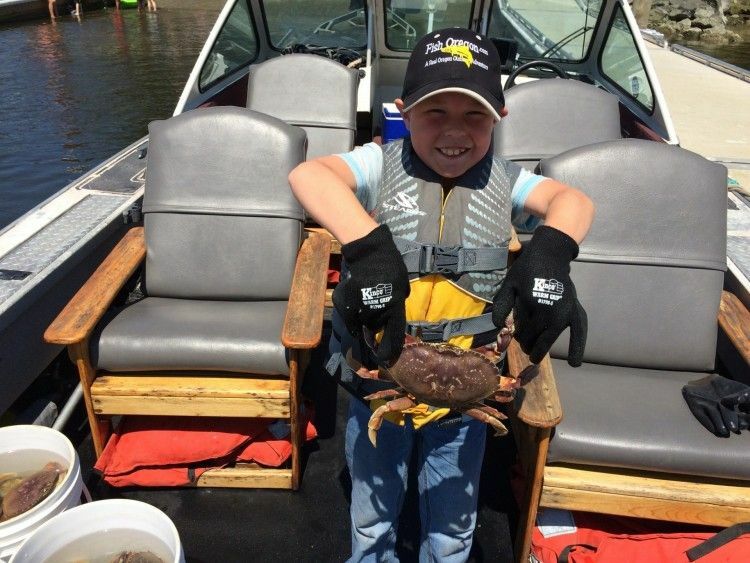 Our Dungeness Crabbing Trips are family friendly with calm waters available. 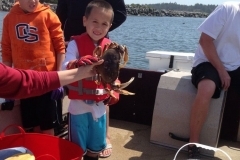 We can take up to 5 crabbers at a time. Our trips are for minimum 2 hrs. 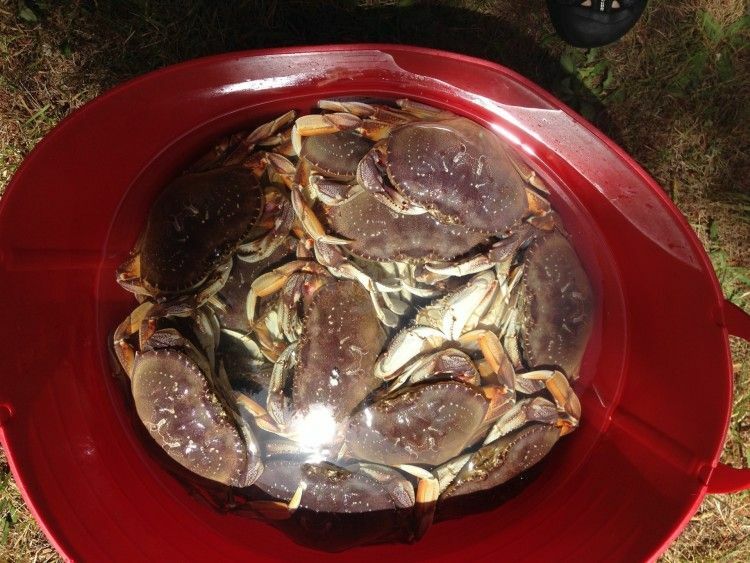 We will have 4 to 6 crab rings that are placed in the estuary to be hauled by your crabbing party. 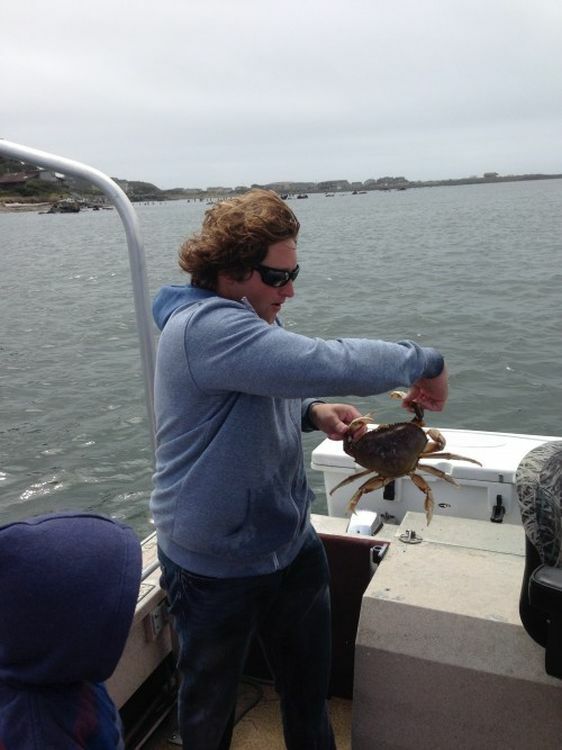 After your crab harvest is in the boat, we can return to the Bandon Port where your catch will be cleaned. 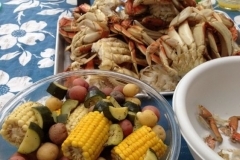 You may take your catch with you (the sooner you have your crab cooked the better). You may also take your fresh catch to Tony’s sidewalk cafe on the boardwalk, where they will cook and clean them letting you devour some of the best seafood anywhere fresh from the pot and you caught it yourself. A great family experience. 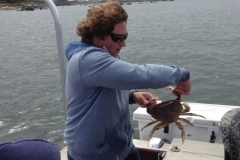 Crabbing Trips are $200.00. You may take up to 5 people per trip. 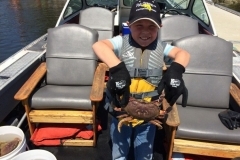 Each person over age 12 will need a shellfish License which is available at Tony’s Port of Call which is located just up the landing from the launch dock. Allow 2.5 hours for your excursion including cleaning and cooking. 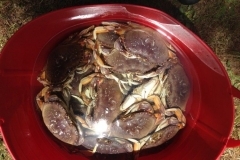 Cleaning and cooking at Tony’s is not included in your trips cost, expect to pay about $1.00 per crab for this service, which is a great deal in our view.